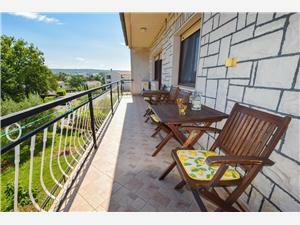 Apartment Zoran is located in Vantacici, 150 m from the sea and 3,5 km from the center of Malinska. 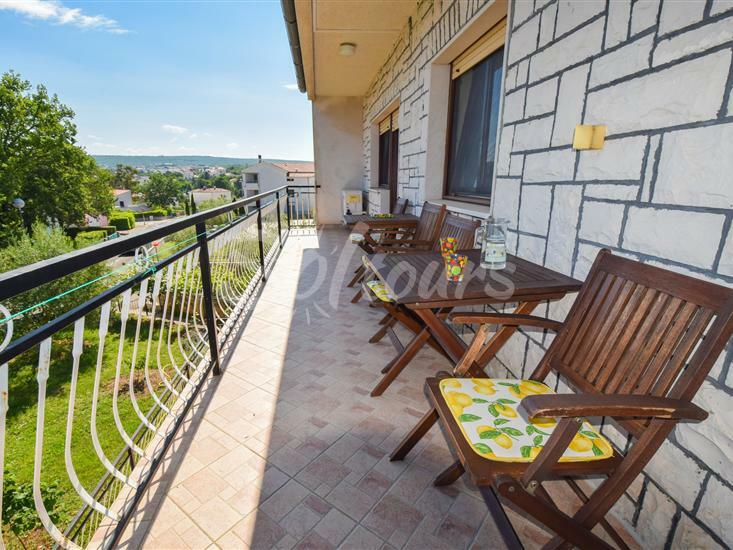 Apartment of 100 m2 is situated on the first floor of the family house and it can accommodate 8-9 people. 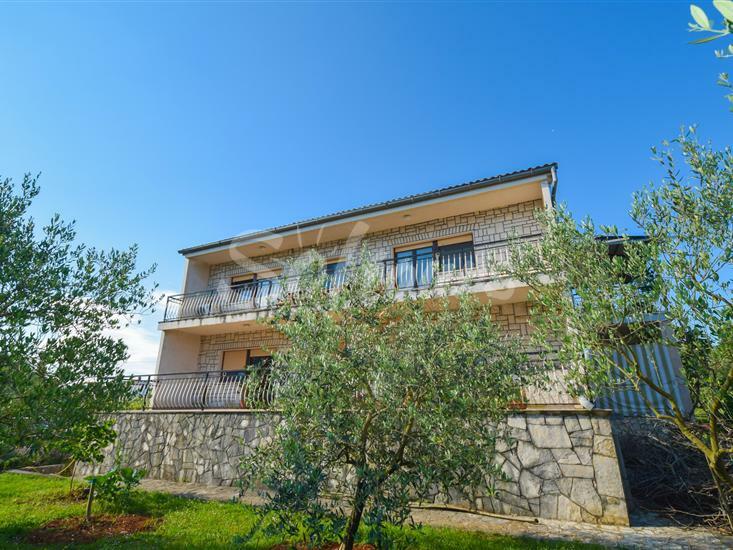 The apartment consists of 4 bedrooms, 3 double and one triple with balcony overlooking the sea, and two bathrooms, one with shower and other with bath tube. 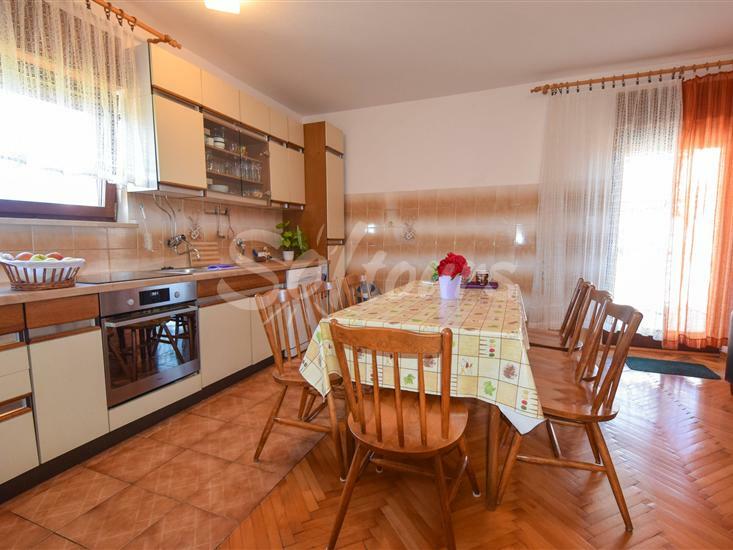 The spacious kitchen is fully equipped and it has access to the rear balcony. The apartment is equipped with air conditioner, WiFi, satellite TV, washing machine and dishwasher. Pets are allowed. The garden has a parking area and barbecue.